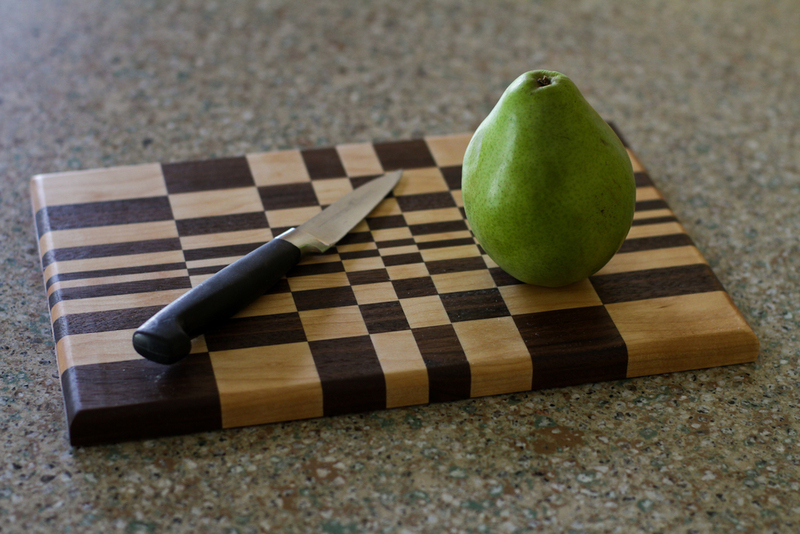 These simple and unique cutting boards are made from a variety of woods. 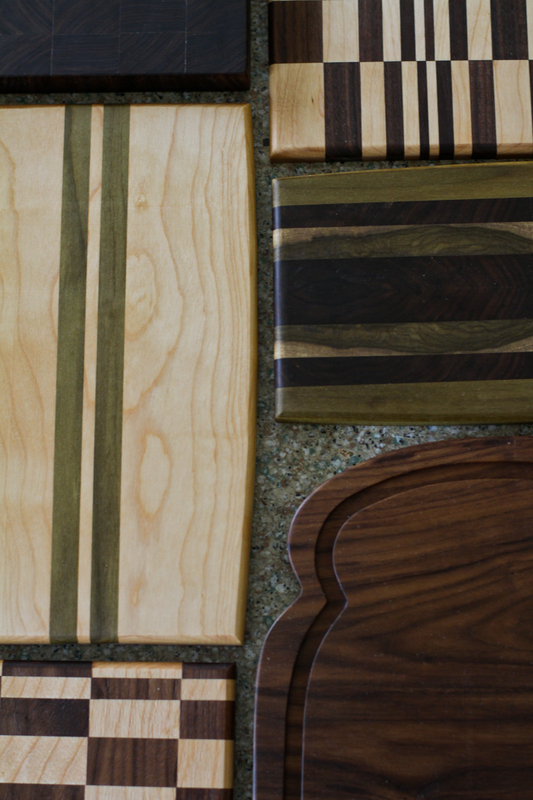 Pictured are boards made from walnut, birch, and poplar. 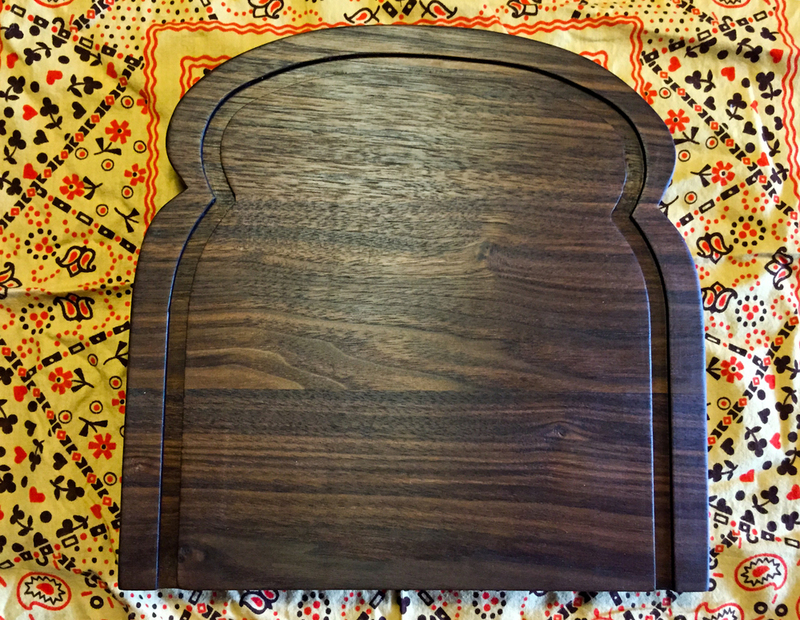 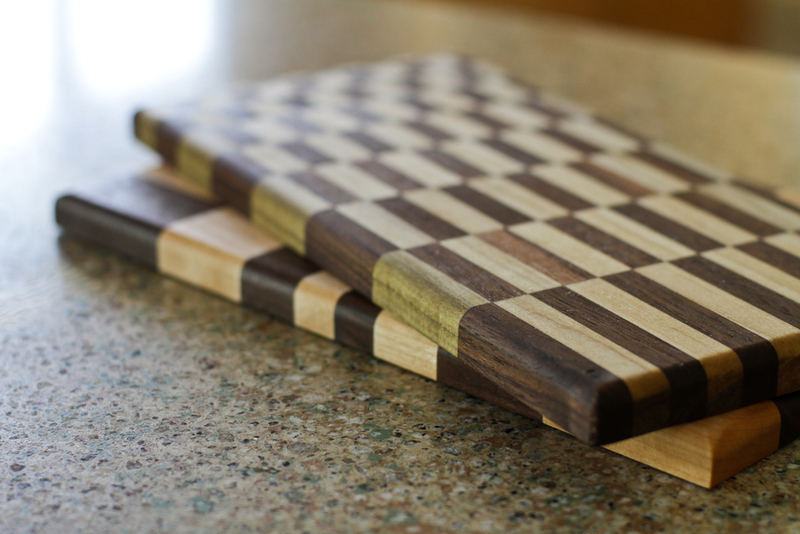 Each cutting board can be made to custom dimensions and designs.